To read the comic from the beginning, just click the “First” link above here. You can also read from any point by going to the “Archives” along the top. Also, be sure to check out some of the Fantasyville swag over on Storenvy by clicking the “Shop” link along the top. Thank you everybody who gave so much love and support for Johnson & Sir and the entire Fantasyville Police Squad, especially in the KickStarter to fund the book. 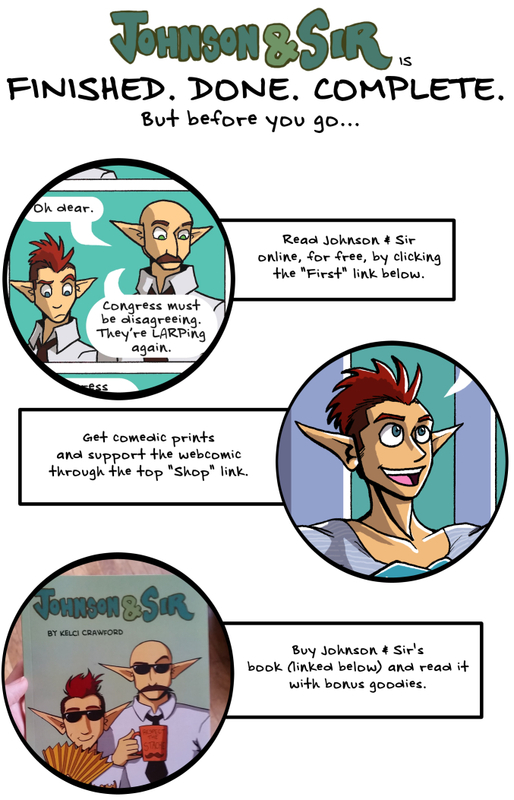 “Johnson & Sir: The Collected Comics” has all 100 pages of magical malarkey, including remastered art, character biographies, and other extra bonuses you can only get in the book. Buy the book on Storenvy.